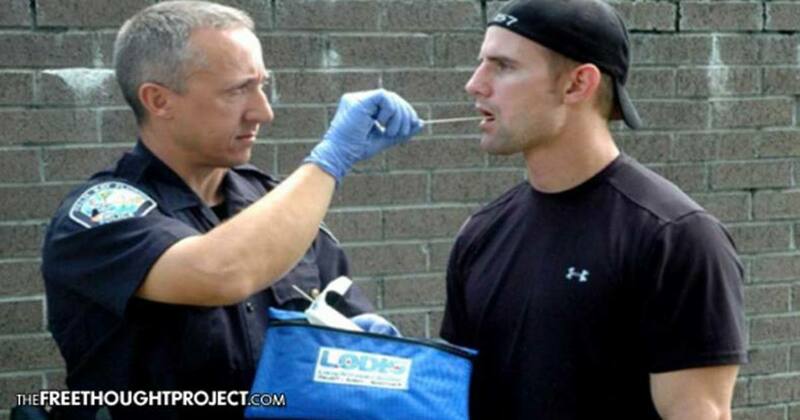 Without laws to guide them, police around the country have begun collecting people’s DNA — even when no crime has been committed — using private labs which then store the genetic material for unknown periods to make identification simple in the event a crime is committed in the future. “Over the last decade,” writes Lauren Kirchner for ProPublica, “collecting DNA from people who are not charged with — or even suspected of — any particular crime has become an increasingly routine practice for police in smaller cities” in Florida, Connecticut, Pennsylvania, and North Carolina. But because no legislation or legal precedent protects people from this frighteningly invasive practice, nothing would stop police departments in other cities and states from collecting genetic evidence without just cause. While Fourth Amendment precedents mandate reasonable suspicion of an actual crime be present before requiring a search and seizure — in this context, for a person to fork over their DNA — asking someone to consent to voluntarily swab the inside of their cheek has yet to be thoroughly tested in court. Departments in the four states mentioned boast collecting DNA consensually has assisted in solving crime at an unprecedented rate — but with nothing governing how, when, or who police can ask for consent, thousands of otherwise innocent people now have their genetic information on file. Frederick Harran, Director of Public Safety for Bensalem Township, Pennsylvania — where even the thin excuse of someone ‘acting suspiciously’ could cause an officer to request DNA — told Kirchner in just four years, consensual collection cut burglaries by 42 percent. Bensalem partners with private lab Bode Cellmark Forensics, which the township funds using equally controversial drug asset forfeiture profits. Although Harran believes these private databases ‘should establish their own best practices,’ without firm rules delineating DNA collection, police departments and cities could easily overstep privacy and rights boundaries. Consensual DNA collection, in essence, has become the wild west of the police state’s ever-expanding presence in our lives. “The laws and legislatures just haven’t caught up with this type of policing yet,” Kreag told ProPublica. Worse, guidelines for database samples differ widely between those used by the FBI and the private labs currently amassing consensually-obtained DNA. Michael Garvey, head of the Philadelphia Police Department’s office of forensic science, told ProPublica those lesser standards could ‘lead to meaningless or coincidental matches’ — a rather alarming thought considering how often people consent to hand over DNA. Most of the local police departments requesting samples of DNA require officers to get consent in writing — but even that isn’t necessarily standard procedure. When West Melbourne, Florida, police can’t obtain a sample from someone voluntarily, they’ve collected “abandoned DNA” from discarded cigarette butts and chewing gum, and Fairfax County, Virginia, police admit they don’t always have consent forms on hand. That could present serious issues when the subject is a minor. In an anecdotal example, Kirchner spoke with a father who was shocked to learn his 15-year-old son, Adam, had voluntarily given DNA to police in Melbourne, Florida, despite not having committed any crime. Officer Justin Valutsky approached Adam and his friends in an SUV parked outside a home in a gated community in March 2015. Advising the teens there had been a string of burglaries in the area, he asked which of them was going to give a DNA sample. Adam, believing the request indicated Valutsky wouldn’t allow them to leave unless someone agreed, volunteered. “I thought it meant we had to,” he said afterward. As soon as he discovered what had taken place, Adam’s father, a physician whose name Kirchner withheld to protect privacy, hired attorney Jason Hicks in hopes of having the sample destroyed. As a physician, he understood the potential ramifications of Adam’s DNA being stored in a database for no reason. Hicks had never encountered consensual DNA collection by police before — and because legislation has yet to catch up, the battle to destroy the sample took a full year and a half. Indeed, while minors need parental consent for nearly everything, Big Government doesn’t (yet?) require a parent agree to allow the police state to collect and store their DNA for an untold period of time. As invasive and Orwellian as voluntary DNA databases might seem, the FBI already catalogs millions of innocent people using facial recognition and other biometrics technology. Artificial intelligence already assists police departments across the country in predicting when a crime will be committed — and by whom. At least $1 trillion has been spent bolstering the U.S. police state — just since the attacks of 9/11. Considering the inability of police and FBI to prevent such mass shootings as occurred in Orlando, much less foil any legitimate terrorist plot, perhaps we should be asking who, exactly, does the government consider its enemy?